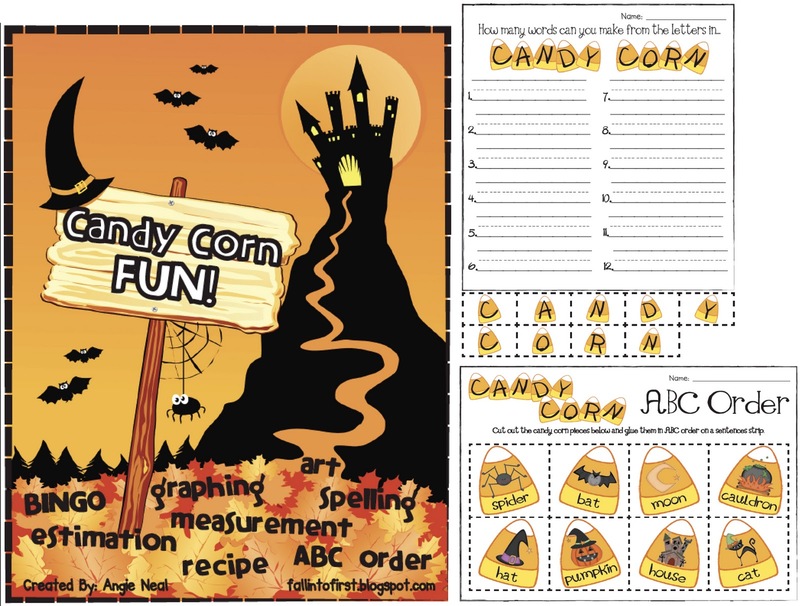 Fall Into First: I LOVE Candycorn! My absolute favorite type of candy during Fall is CANDYCORN! LOVE IT! To follow school district policy I don't have a "Halloween Party" rather a Candy Corn Celebration Day! We do all of the activities I have included in my "Candy Corn Fun!" packet on TPT. The packet includes spelling activities, ABC order, estimation, graphing, measurement, Bingo, an art project and a fun recipe the kids help me cook. Check it out!